Comfortable and convenient with touches of style, the Norse Dress with Pockets has wide pockets and leather cording as trim along its neckline and accent panels. This medieval gown is made of soft, breathable muslin cotton. The two-colored style features its lighter colored accent panels along the round neck, gathered at the sides just under the bust, and at the back of the torso. 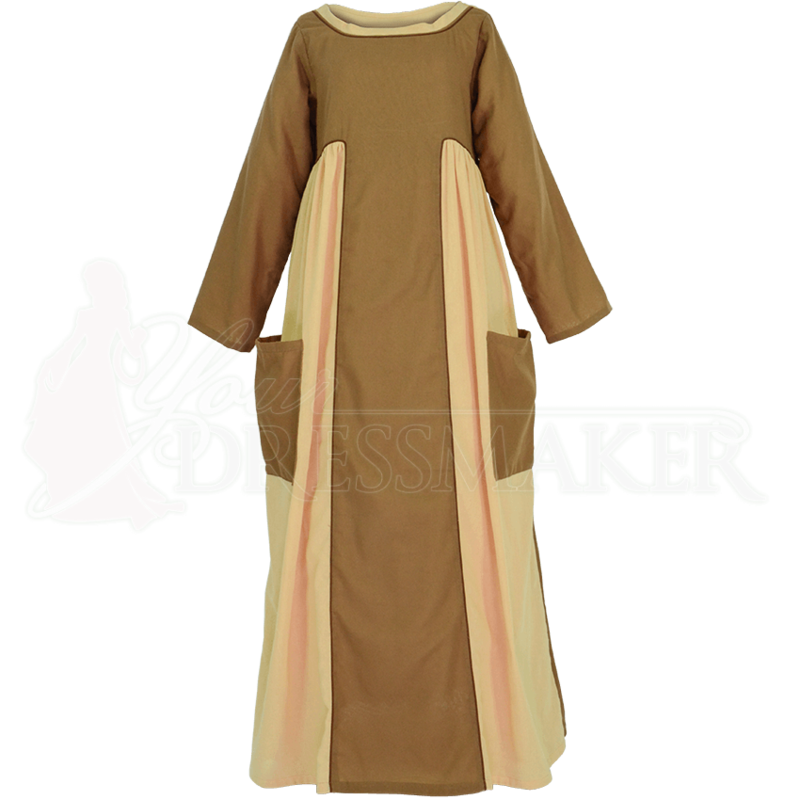 This long sleeve Norse womens gown is available in a range of sizes, and it comes in a variety of color options to suit your style. Included is a scarf that matches the lighter accent panel color, perfect for wearing on the shoulders or head. This cotton Viking gown is a great choice for medieval markets, Renaissance fairs, reenactments, and other historical events.